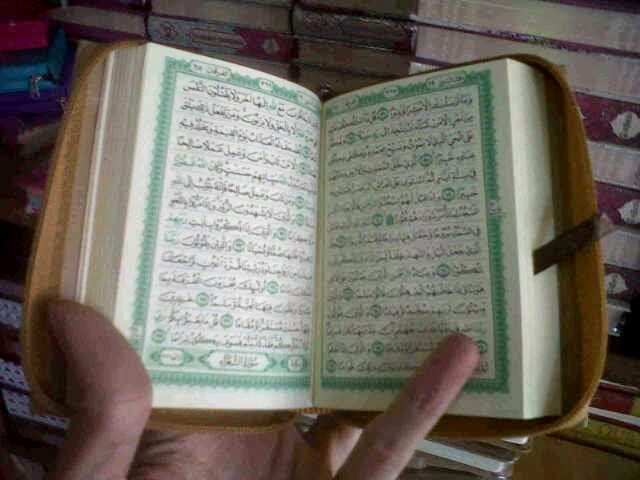 With smaller size just 7,5 x 9 cm, Quran Pocket Very Practis in your pocket. 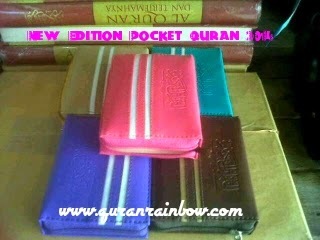 Newest Edition Quran Pocket have beauty colours cover, uniqe cover and 2 withe line make it very cute and simple. 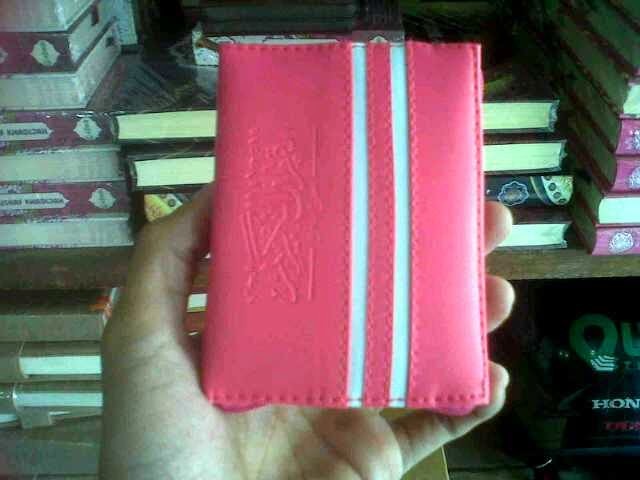 We have 5 colours available of Quran Pocket new edition 2014 : Pink, Blue, Purple, Brown and Cream. it can using for muslim or muslimah, ikhwan or akhwat, gentle or woman. So you can Enjoy Read Holy Quran or tilawah wherever and whenever you are.